Have we told you lately what we’ve been up to? No week is the same, which keeps us happy and productive. Manet – Portraying Life is an important new exhibition at the Royal Academy of Arts, the first ever retrospective devoted to the portraiture of Edouard Manet. He painted his family, friends and the literary, political and artistic figures of his day, giving life not only to his subjects but also to Parisian society of the time. It’s proving to be a huge hit with corporate clients, with strong bookings for breakfast and evening receptions. The colours within the paintings reflect what Manet saw around him – people dressed in black, grey, navy or beige because they didn’t show so much of dirt and soot prevalent on the streets of Paris at that time. 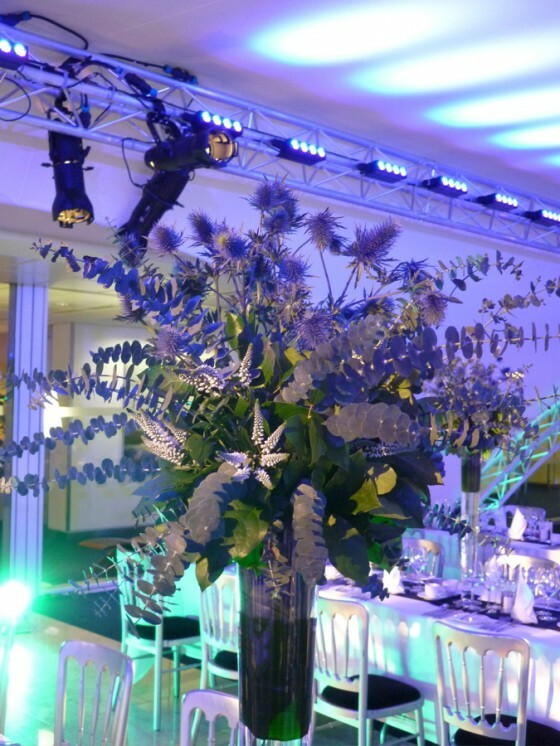 One colour that sings out here and there in the exhibition is a beautiful cornflower blue – some blue sky here, a blue dress there, to the sumptuous blue organza bow adorning a little girl’s dress in The Railway, so we focused on that for a recent reception. 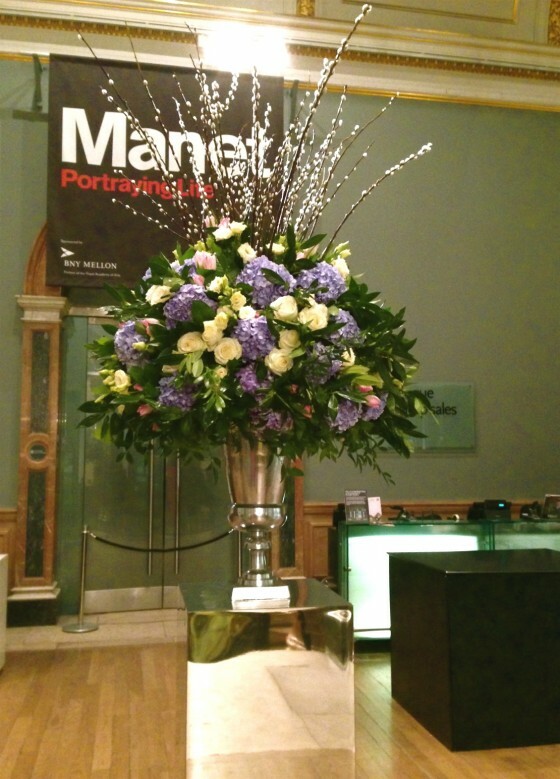 Large silver classical urns adorned the bar and the vestibule, featuring a mass of pale blue Columbian hydrangea, blowsy ivory roses and spring blooms in cream and pale pink, combining to create a stunning complement to the work of a great artist.